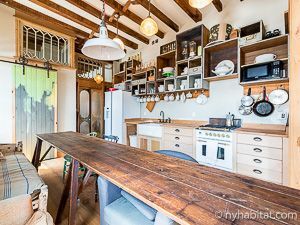 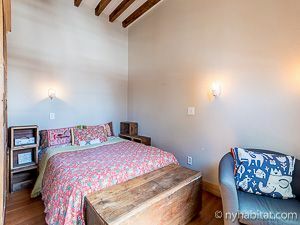 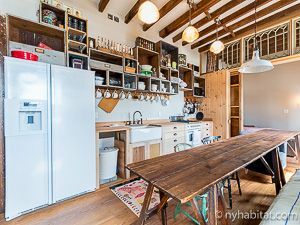 In Williamsburg, one of the most popular and exciting neighborhoods of Brooklyn, New York, find a one bedroom furnished apartment to rent. 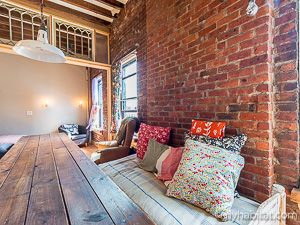 The loft style apartment is located on the top floor of 5 (4 floors in Europe) in a mid-rise, walk-up building at the corner of South 1st Street & Wythe Avenue. 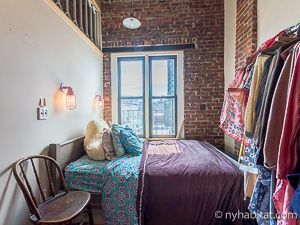 Note that laundry facilities are in the building as well. 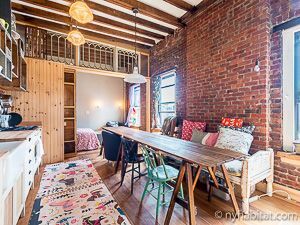 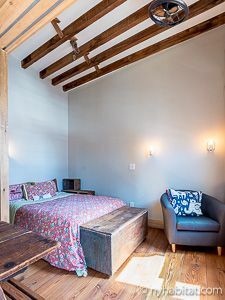 In the one bedroom furnished apartment, a creative space features high ceilings, exposed brick, wooden beams and hardwood flooring throughout. 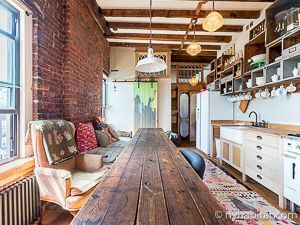 The living area contains a long wooden table to join in community with your family and friends. 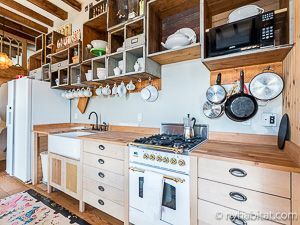 The open kitchen spans the length of the wall with a butcher block countertop, open cabinets, and a farmhouse sink. These elements will have you creating your own meals and trying new recipes. The Bedroom can be closed off with barn styled doors and contains a double sized bed and armchair. 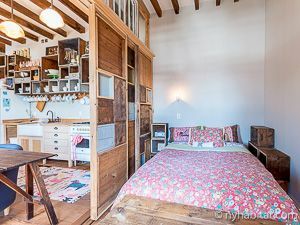 Find additional space to be used as a large, walk-in closet. 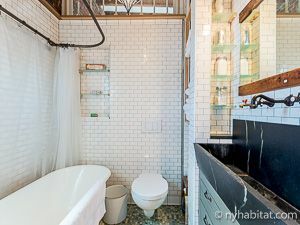 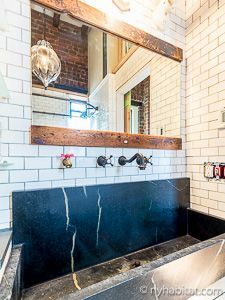 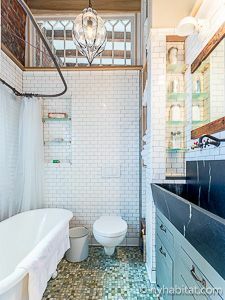 The bathroom is completely tiled with subway tiles, a double trough sink, and bathtub.